Please note, that we will be on site after April 9th and will not be able to receive emails or calls. Please email with questions before April 9th. Thank you!! 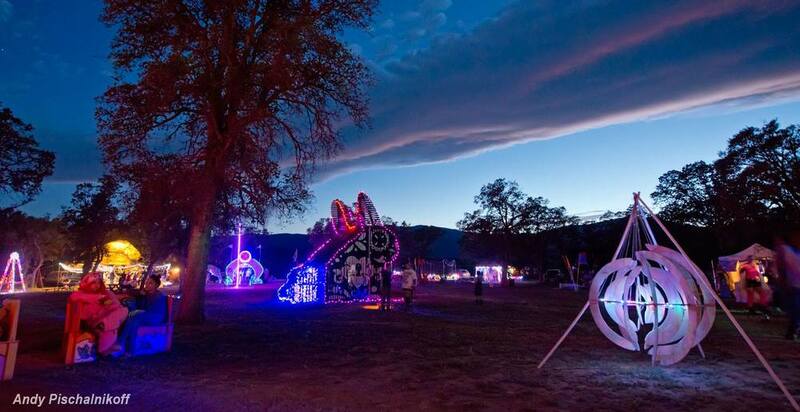 Pagan Bunny Burn is a multi-day, family based, interactive total art immersion event. 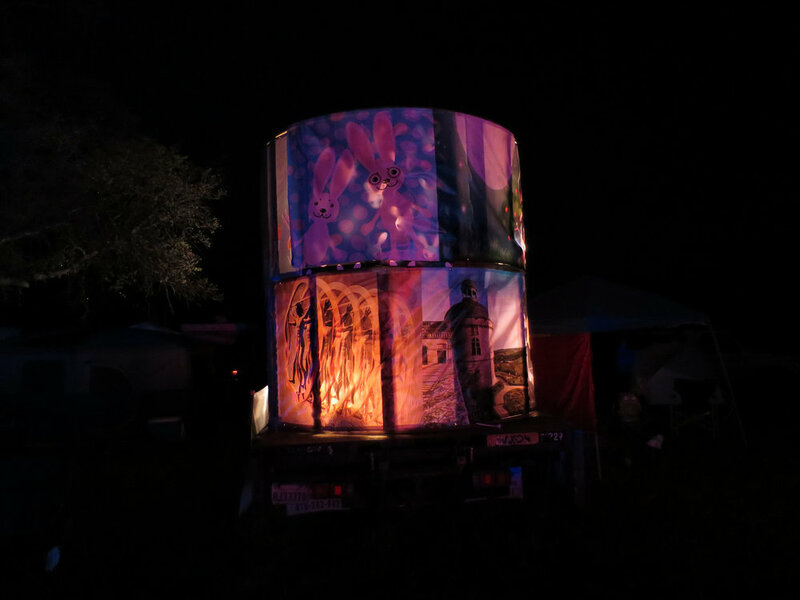 Located on private property in Northern California, Pagan Bunny Burn blends the outdoor beauty of the spring season, with participation stemming from the arts. We welcome all to come and participate and share your talent and art with us, The weekend before Easter. If you have any questions please email paganbunnyburn@gmail.com. Due to Record Rain fall, WE have a single lane road. To deal with this there will be no in and outs during peak GATE hrs. Please plan accordingly and if you need to leave for the day, be at GATE 15 min before it opens for the day, and we will let you out. Pagan Bunny Burn manifested in the spring 2011. It would be our second year not attending Burning Man, and with our son just born in February we wanted to start our own little burn/family tradition. The first effigy was 16 feet tall and was placed atop a large pile of wood. It was the night before Easter Sunday, and there were 8 in attendance. This burn was located in the same spot it has been in since, near the creek, and nestled in the trees. This burn was also Easter weekend, and a large 30 foot effigy of a bunny was placed again atop a large pile of brush. This burn was entertained by a 33 foot effigy of a bunny atop a bonfire. More and more friends and family were in attendance, and there was a light rain after the bunny burned. This burn was moved to the time it is now, the weekend before Easter. 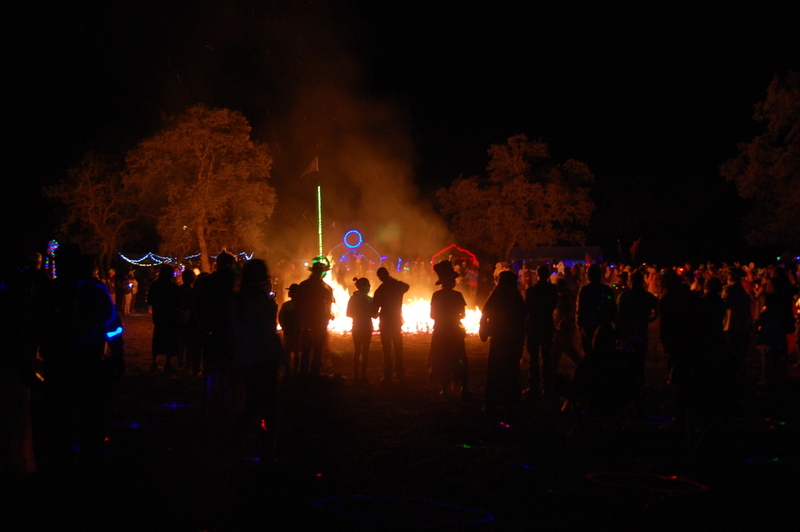 We invited our burner family as we were able to attend Burning Man in 2013, making new friends and family. The effigy of the bunny changed as she became more three dimensional and set freely on the ground. She was painted on one side, and more rustic/wood on the other. She was 35 feet tall and burned magically. This was the year that we sold tickets and stepped up our game. 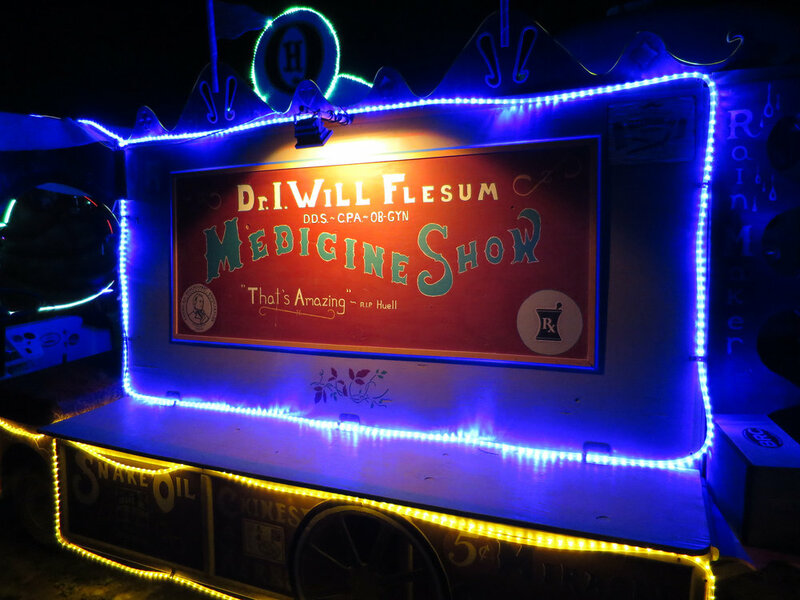 All of our burner family participated and volunteered many hours to create an amazing event. The effigy was also a temple, and at night became a night club with music and lasers. The weather, the people and all the amazing art every where created an event for the record books. This burn was epic!! The site was filled with amazing Theme Camps, spectacular Art from artists from all over California, Nevada, Oregon and Canada!! The DJ's, the music and all the STAGE events were off the charts, fun and entertaining!! The weather was great, and the poppies were in full bloom. A Big THANK YOU to all who attended, participated and volunteered!! This burn was rainbow-licious!!! Those who braved the spring weather were graced to see Spring herself visit and bless us all. What an amazing event with the most precious gifts of ART!! The participants were amazing and the bunny hop reigned supreme! A huge fuzzy hug to our volunteers and participants, you guys!!! This burn was spectacular. Ēostre blanketed the western mountains with snow, the bunnies adorned their furs and huddled in the warren. The ART was amazing, reflecting Ears, and a light show in the water, you bunnies know how to show off!! Ears off to our amazing team of Volunteers, you steal my heart!! This burn is scheduled for April 11-14, 2019. As Pagan Bunny Burn is ever changing and growing we look forward to something new and different every year. If you are interested in volunteering or participating make sure to check out the volunteer page and form, or you can always email paganbunnyburn@gmail.com and we will hook you up!! You must bring everything you need to Pagan Bunny Burn, INCLUDING WATER, FIRST AID, and FOOD. There is NO DRINKING WATER, NO COFFEE, and NO ICE available on site! Practice SELF-RELIANCE. The site is located about 22 miles from the nearest city. The small community of Elk Creek has a restaurant, that does sale ice, located a mile from the venue. Please limit In and outs, Please carpool if you need to make an ice run. GARBAGE & RECYCLING: Garbage and recycling containers are NOT provided. This is a LEAVE NO TRACE event — please ensure that you bring trash receptacles. Pack it in, pack it out. We want to hold future events at this property, thus we need to respect its beauty. POWER, CELL PHONES, AND INTERNET: You will need to supply your own power — there is no public grid. If you are bringing your generator please remember to bring a gen box to keep the noise down. There is limited cell phone service, Verizon, and Sprint are your best bet. At&T is limited. No Internet. PLACEMENT: If you have applied for placement for your theme camp, art, or vehicle, ask Gate Staff to radio for Placement. If you are NOT placed, please follow signs for car camping, walk-in camping parking and RV parking. « Roads will be marked do not camp on them. « RV's allowed in designated areas only. « Register for art placement at: ART Application Early registration is over. You must purchase a ticket during directed ticket sales. General Admission ticket Sales SOLD OUT. Email paganbunnyburnart@gmail.com if you have any questions about ART!! « Register for theme camp placement at: Wait for it!! General Admission ticket Sales are sold out. Early registration is over. You must have a ticket. Here is the link: Theme Camp Application Email paganbunnyburnthemecamps@gmail.com if you have any questions. 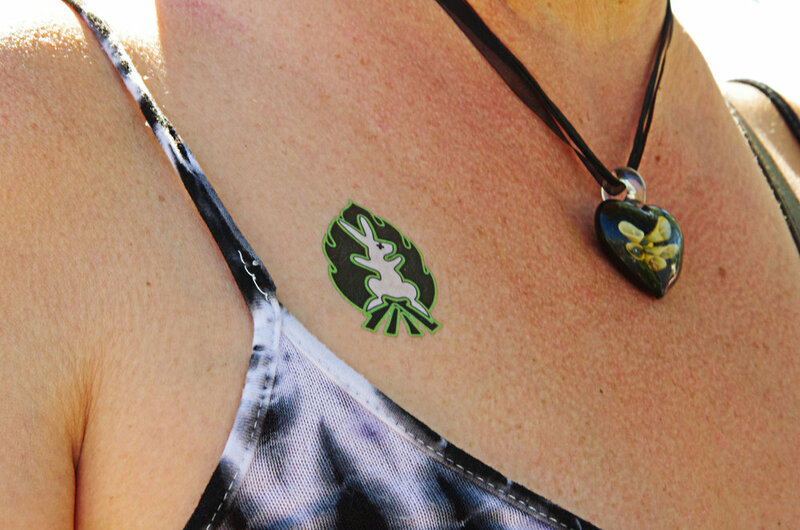 LOST ITEMS: Pagan Bunny Burn is not responsible for lost or stolen items. Please plan accordingly. Label your things, phone, camera, keys, etc. There will be white boards to write announcements on located at the HQ (Hind Quarters), We plan to have a radio station for personal announcements and event announcements, located at STAGE. 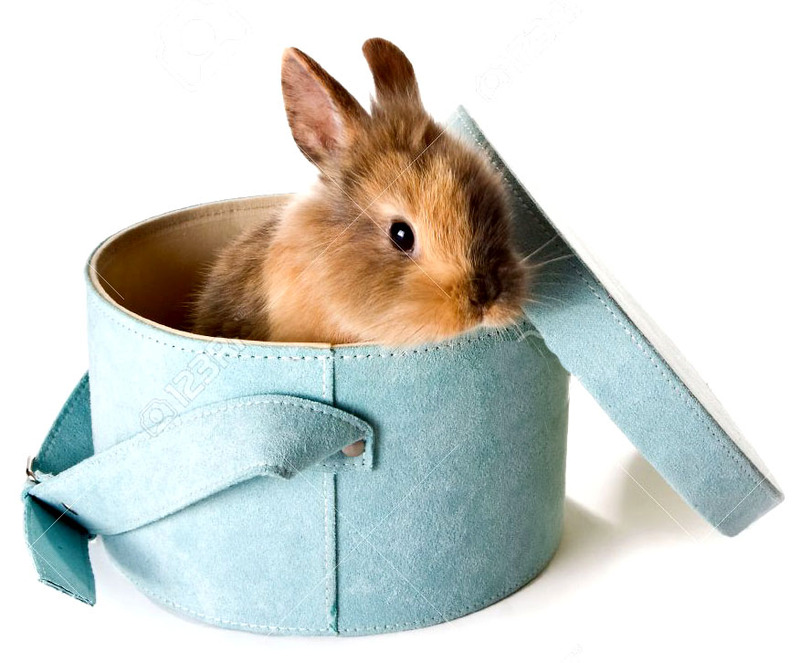 EJECTION: Pagan Bunny Burn reserves the right to deny entry to the event, or to revoke event access at any time, for any reason. EXODUS: We love you and your camp, but please have an exit plan. You need to have cleaned up and left by 5:00 pm Sunday at the latest. Whether or not you are part of a site-wide clean-up, please do your part and patrol your campsite and the grounds around it for cleanliness. DRIVING DURING EVENT: For the safety of others and due to the limited width of the road leading to the property, once vehicles are parked, please stay put. The speed limit at Pagan Bunny Burn is 5 MPH, always and everywhere. INS & OUTS: Each participant will be given a wristband. Re-entry is only allowed with wristbands. Keep your wristband on AT ALL TIMES during the entire event. Ins and Outs only during GATE hours. LARGE VEHICLES, TRAILERS AND RVS: Please note, due to large oak trees RV camping will be in certain areas, and there will be designated space for car/tent camping, and designated areas to tent camp and park your vehicle in the designated parking area. There will be designated areas; please do not drive all over the property or you will be asked to leave. NO VENDING: There will be NO vending of any kind permitted at Pagan Bunny Burn. SOUND: Pagan Bunny Burn has a strict sound policy. NO SOUND SYSTEMS in the tent, and RV camping and theme camp areas. If you decide to bring your own sound for your camp, please note that any system over 100 watts (basically, anything bigger than a boom box) will be asked to be turned off. But you can use the STAGE! Time slots on the STAGE in the Circle of Awesomeness are still available. QUIET HOURS: General Camping and RV Parking/Camping has quiet hours from 11 pm to 9 am. No Rogue Theme Camps in General Camping and RV Parking/Camping. You will be Bunny Rangered. This is a family event, lot’s of little bunnies need their sleep. Thank you!!! PHOTOGRAPHY: Commercial use of pictures or video taken at Pagan Bunny Burn is prohibited. BUILDINGS ON SITE: There is NO ACCESS to any of the private buildings on the property. DOGS: Leave dogs at home. We are surrounded by neighboring ranches; we can not have dogs chasing livestock. We like to keep happy neighbors. Dogs are best left at home. PORTA-POTTIES: We will have port a-potties placed around the event. Please respect the potties and all of your neighbors by taking good care of the facilities. (And it never hurts to bring extra one-ply toilet paper.) Respect the property — do not use the woods as your toilet. Do not place paper towels, 2-ply TP., diapers, wet wipes, feminine products in the toilets. EMERGENCIES: In the event of a medical, or other emergency that you cannot handle notify Pagan Bunny Burn Rangers, or a Staff member with a badge and radio if you have an emergency or have witnessed an emergency so that it can be documented. BUNNY RANGERS: Radical self-reliance and respect means you are responsible for your own actions. This includes being respectful of your neighbors, controlling the sound volume of your camp, and working out disagreements respectfully. Bunny Rangers patrol the event and you can reach out to them if you need urgent help or assistance in resolving a conflict. Typically dressed in bright neon vest, Bunny Rangers are participants who volunteer to help to make our event safe, smooth, and enjoyable. WEAPONS PROHIBITED: Firearms are prohibited. Leave it at home, even if it’s licensed. You don’t need it, and we don’t want to deal with it. FIREWORKS: For everyone’s safety and to protect the land, and not frighten livestock personal fireworks and pyrotechnics are prohibited. EARLY ENTRY: Gate opens on Noon Thursday for all participants. Have a question, email paganbunnyburn@gmail.com. Motorcycles, Mopeds, Scooters, ATV's, or UTV's are not permitted. Do not bring them. MUSIC AND PERFORMANCE ARTS : To help organize the STAGE schedule, we suggest that you pre-register your performances, however walk ups are welcome. If you decide to bring your own sound for your camp, please note that any system over 100 watts (basically, anything bigger than a boom box) will be asked to be turned off. But you can use the STAGE! Set up your equipment and put on a show, the STAGE is looking for artist who want blocks of time! We create a space so you can do your thing! We have a designated area for sound and there for can only have one stage for DJ's and loud performances. We need to respect our neighbors. Forms will be available after General Admission ticket Sales. Early registration is over. You must purchase a ticket during directed ticket sales. Email paganbunnyburnart@gmail.com with any questions. Applications are currently closed. They will reopen after general admission sales, which open Jan. 5th at Noon!! Whoop Whoop!! Volunteering is fun!! We LOVE our Volunteers!! Volunteers ROCK!! 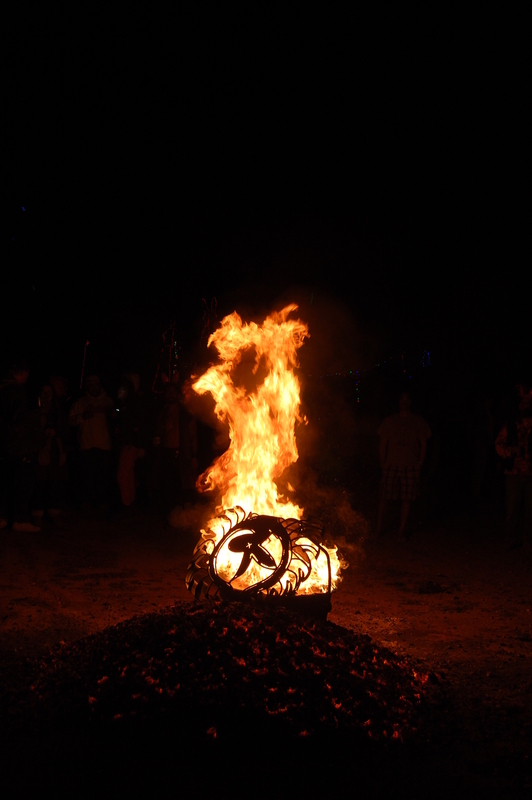 One of the best ways to participate and get to meet lot's of fun people is to volunteer at Pagan Bunny Burn! If you are interested please check out the Volunteer Application on site!! Head to HQ to Volunteer!! You must have a ticket to enter the event, and participate. Once onsite head to HQ for volunteer opportunities. Would you like to register as a Theme Camp? 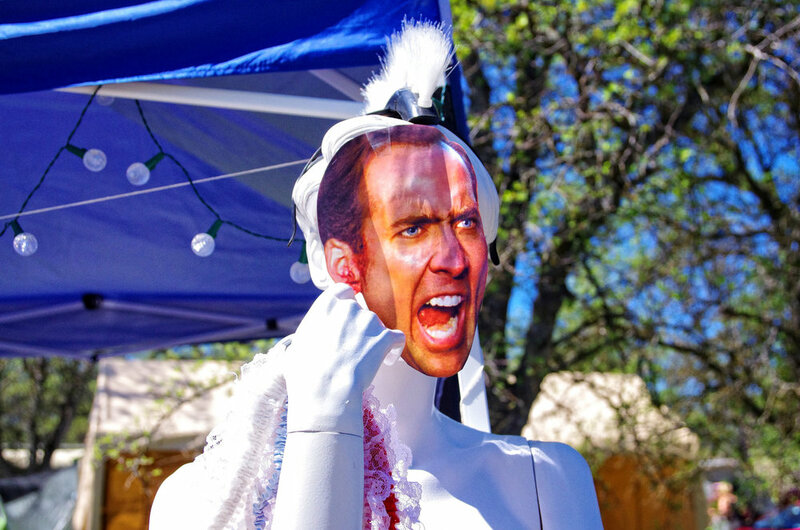 Would you like to be near the effigy, the STAGE and the art? Do you have something exciting to share with participants? Placement is getting into the final steps, and we are full!! Whoop Whoop!! No rogue theme camps in General Camping or in the RV parking/Camping areas, Thank you! What does that mean? It means no designated theme camps, in the RV and general camping area, where people take up space (like circle the wagons), create a road front, and have a scheduled event. This year we will be requesting that all vehicles park perpendicular to the road, not parallel and pull up as far as they can (with in reason) to make room. 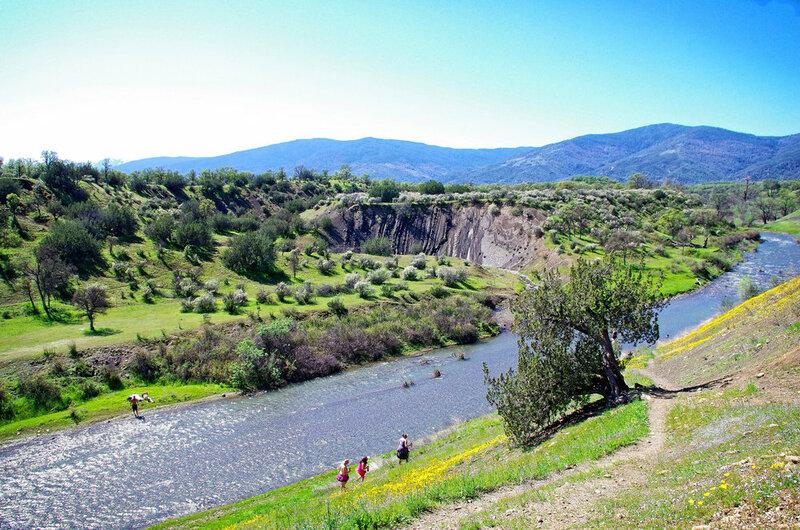 There are quite hours in the general RV and Camping areas as well. Quiet Hours are from 11 pm to 9 am. We have more people bringing RV's and trailers due to the past events weather, and we need to make room for every one. Email paganbunnyburnthemecamps@gmail.com, if you have any questions!! We have created an atmosphere for you. Pagan Bunny Burn is the place where all artist are equal. By staying away from vending and selling of art and things, all artist can play together and create freely. Bring your art, we have a spot for you to share it. Big art, small art, we have the room! Pagan Bunny Burns' goal is to help artist make more art, better art, and art for arts sake. May it be a piece to something bigger that is still being created, bring it, share it and be amazed by the gratitude of those around you for doing it. ART Placement is finished for this years event!! We look forward to seeing all the amazing ART!! Email paganbunnyburnart@gmail.com if you have any questions. One of the pieces that hung on the Gallery of ART in 2016. Pagan Bunny Burn loves ART. WE encourage EveryBunny to make ART and share ART!! 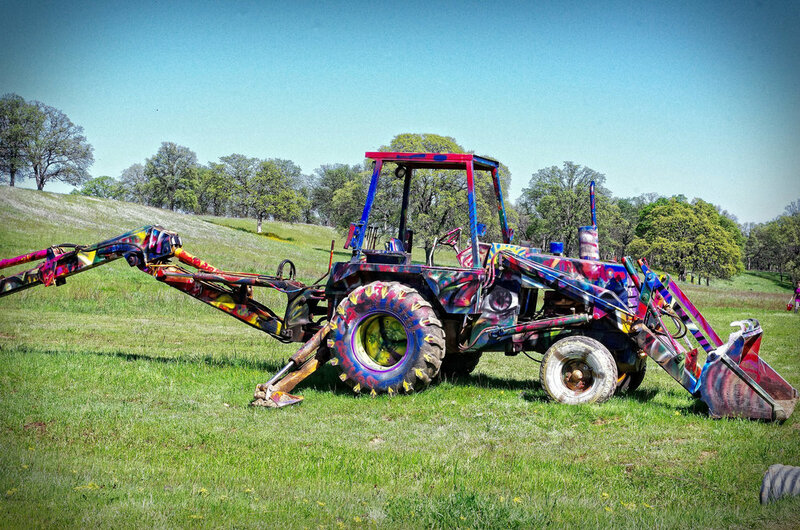 WE look forward to seeing everyone’s creative creations every spring, inspired by you for you!!! Admiral Dot poses with the First Place winner the Neon Chill Dome camp. Whoop Whoop!! Sometimes a little competition is good for the soul. 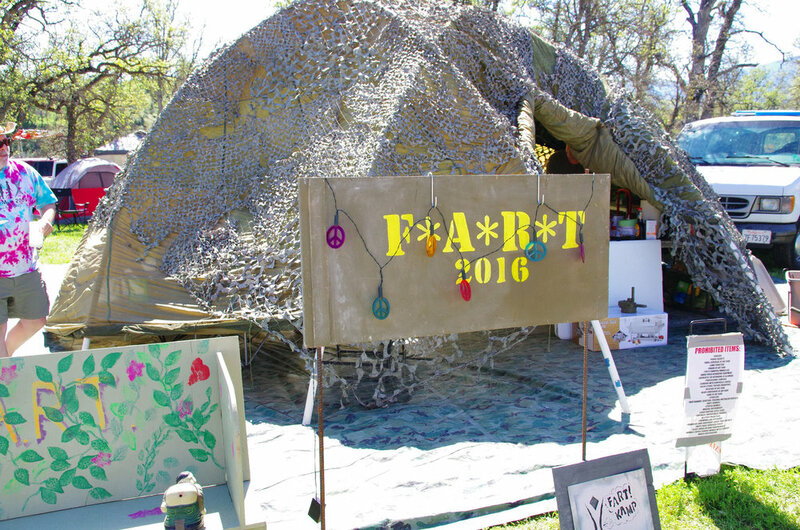 2016 was the first year Pagan Bunny Burn had an art competition for participants and Theme Camps. The subject was Flags!!! So many great Flags were created for this competition. We hope all the flags come back and display their awesomeness in the spring breezes. 2017 We had an ART Bench competition!! It was amazing!! some awesome pieces of sittable ART were created. First Place went to Bounce and his Ghost Ship Bench. Second Place was Camp Fluffle!! Third Place was F.A.R.T. Kamp!! This years, ART Competition is …. Flower Arrangements!! Any style, any kind, shape, flowers, and colors!! We can’t wait to see what you create!! Please note that the colors for this years PBB are Red, Orange and Yellow!! To Register you ART Competition ART, go to HQ, There you will fill out your name, be assigned a number, and then place your number on the map at your location. You will be given a flag with your number on it to place by your ART!! To VOTE for your favorite ART competition piece, go to HQ, and find out the number assigned to your favorite piece, write it on a piece of paper and put it in the bucket!! Vote by 5:00 pm Saturday!!! 2018 Art competition was amazing!!! Some very creative box’s were made. First Place went to Camp Fluffle, and their box of jokes!! Second Place went to Granny B and her box of cookies!! Third Place went to It’s a TRAP!! Can’t wait to see what this years competition will be and what you all create!! Stay tuned for ART Competition Info!! Winners to be announced Saturday at 5:00 pm!! The gate is located at 3199 County Road 309 (Sanhedrin), Elk Creek, CA 95939. GPS on your phone is not reliable. HWY 162 is a two lane narrow highway, please go 55 MPH. Watch for Pagan Bunny Burn Signs on County Road 306. « RESPECT THE NEIGHBORS: Do not use private driveways to turn around. « RESPECT THE ROAD: Obey all posted speed limits, watch out for animals. « Be mindful on County Road 309 (Sanhedrin), it is residential. 1. Take Hwy 162, exit #603. 6. Turn right onto County Road 309/Sanhedrin Rd. 7. Go 0.4 miles taking you by the Elk Creek High School and then the Elementary School. 8. Turn left. Follow the signage through the open gates toward the venue and ‘GATE”. 9. Max speed is 10 MPH. Once you reach ‘GATE’ please have tickets and ID ready. After them speed limit will be posted 5MPH. « Have your ticket(s) and ID(s) ready before you pull up to gate. « Make sure your RV/rig/trailer is unlocked and accessible for any potential searches for smuggled unticketed people and animals. An attempt to smuggle in a person will lead to ejection of premises without reimbursement. « Abide all federal, state, and local driving/vehicle laws by not traveling with open alcohol containers, illegal drugs or paraphernalia, or hazardous materials. « Stay with your vehicle; do not exit the vehicle unless asked to do so. Is the headquarters for the event and will be on the map. Make the HQ one of the first stops along your point of entry, to help you familiarize yourself with the resources and information you need. Tickets SOLD OUT!! Whoop whoop!! Tickets were mailed March 11th, 2019. If you don not receive your ticket in the mail by April, please email paganbunnyranch@gmail.com with your name and the email address you used to purchase the tickets. Thank you!! Closer to the event, tickets will most likely become available. If you are not a F-Book user, please email paganbunnyburn@gmail.com, with your contact info and ticket request. I have let the F-book group know that WE have a list of bunnies that would like to attend, so to check with us also, and we will try to share the bunny magic!! Before you purchase your ticket, make sure you have the correct shipping address. Physical Tickets will be mailed out to the shipping address connected to your credit card or paypal account, so make sure it’s the correct address. Tickets are $80 plus $2 shipping and handling. Includes car/tent/rv camping, for four days and three nights per person. Children 12 and under are free, and must be accompanied by an adult. Tickets are Non-Refundable. Please read survival guide. No scalping tickets!!!!!!!!!!!!!!!!!!!!!!!!!!!!!!!!!!!! Bad Bunny!!!!!!!!!!!!!!!!!!!!!!!!!!!!!!!!!! Do you have a 13-17 year old, who is the perfect example of a true burner? Do they practice the 10 principles? Do they want to volunteer? Then here is their chance to earn a Junior Pagan Bunny Burn (JPBB) Scholarship. Application Deadline is Nov. 21st. Acceptance letters will be sent out Dec. 2nd. Tickets mailed out March 11th. If you do not receive your physical ticket in the mail, by April please email paganbunnyburn@gmail.com and we will figure it out!! to be admitted at gate. There will be a Will Call at GATE. People without a ticket will be turned away at gate. All minors must be accompanied by parent or guardian. Please read Survival Guide for more info on what to be prepared for and what to bring.